If we were to ask you which Mercedes-Benz boasts the very best of the brand’s cutting edge technology, we’re pretty sure we know what you’d say. The latest S-Class is the most advanced Mercedes around, right? No contest, surely? Right? Well, no. Not for the time being, at least. Rather extraordinarily, the Stuttgart brand’s flagship full-size sedan – which has long been considered the pinnacle of luxurious and innovative motoring – is no longer the most advanced vehicle in its line-up. 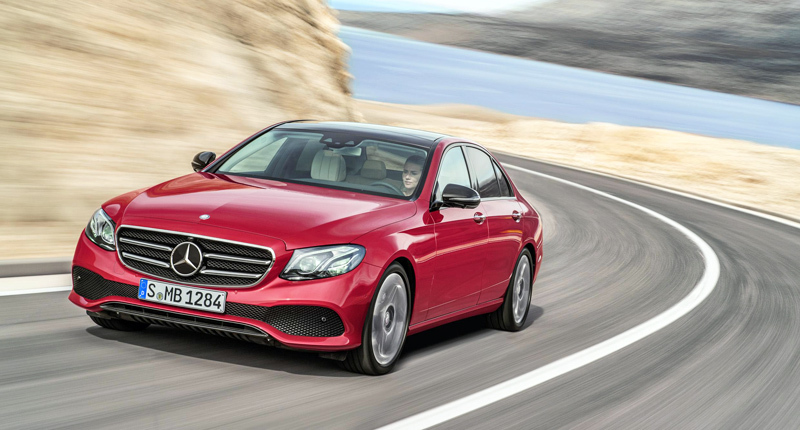 That accolade now belongs to none other than the Mercedes-Benz E-Class. Yes, the tenth-generation E-Class has unquestionably eclipsed its acclaimed big brother in the technology stakes, just two years after the latter’s launch. So, what does the new E-Class do that the S-Class doesn’t? Well, perhaps the most significant development is the fact that the latest version of the business saloon – which counts the BMW 5 Series and Audi A6 among its closest rivals – takes a giant step towards fully autonomous driving. Yes, its myriad new driver assistance systems could quite feasibly be termed “next-generation”, and join a number of vastly improved versions of existing systems. In fact, describing the E-Class as merely semi-autonomous is perhaps a bit misleading; it’s more advanced than that. Indeed, perhaps the largest obstacle standing between it and the fully autonomous label is simple legislation. It can speed down a highway with virtually no input from the driver. It’ll maintain (or adjust, if necessary) its speed and make steering adjustments all by itself. Okay, we hear you – that’s no longer very impressive. 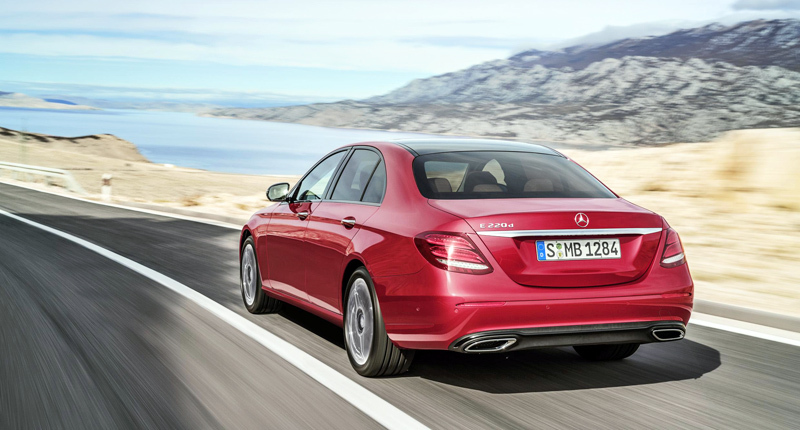 What makes the E-Class truly stand out from the crowd are its many fresh features. The active lane-change assistant is undoubtedly one of the most interesting additions. Using a system of sensors – including a long-range radar system and a stereo camera monitoring the area in front of the vehicle, and multi-mode radars taking care of the flanks – the E-Class assists the driver when changing lanes on multi-lane roads, automatically steering the vehicle into the selected lane. The driver simply activates a turn signal (for at least two seconds), prompting the lane-change assistant to navigate into the adjacent lane. Of course, it will only do so if the sensors do not detect any vehicles in the relevant safety zone. But it even factors in the speed of detected vehicles in the general vicinity. The vehicle will only perform the manoeuvre if the unoccupied zone allows for a lane-change within three seconds and the speed is between 80km/h and 180km/h. The move is aborted if the sensor system detects an obstacle, no longer picks up lane markings, or if the driver counter-steers (so, yes, you can take over). Of course, there are also a number of other clever safety assistance systems, including advanced active cruise control (which can even alter speed based on road signs), a smart steering pilot, “evasive steering” assistance, and a new version of the automaker’s active braking system that can even detect pedestrians crossing in front the vehicle (and, naturally, take action). But if the vehicle does somehow become involved in a crash, there are plenty of passive safety systems firmly in place, too, including nifty bladders in the front seat bolsters that physically move occupants away from the danger zone in lateral collisions. 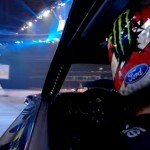 By far our favourite, however, is Merc’s attempt to save our ears. You see, crashing a car is generally rather a loud activity, and the potential for eardrum damage is high. If the vehicle detects an imminent collision (via a bunch of ultrasonic sensors), the pre-safe sound system belts out an 80-decibel static interference (also known as “pink noise”) through the cabin’s speakers. This causes the stapedius muscle in the ears to contract, which better protects the eardrums against high acoustic pressures and ultimately reduces the risk of damage to hearing. In effect, the system harnesses a natural reflex to condition the ear for the thunderous noise of the impending impact. We could, of course, go on. The E-Class is capable of Car-to-X communication. It features remote control parking via a smartphone application. The steering wheel boasts touch controls that respond to swiping movements. There’s a smart high-resolution next-generation dual display inside. This thing even allows the driver’s smartphone to be used as a vehicle key. But we’ll stop there. It’s already patently clear that the Mercedes-Benz E-Class outshines the brand’s traditional flagship in the tech department, even though its big brother is just two years older.